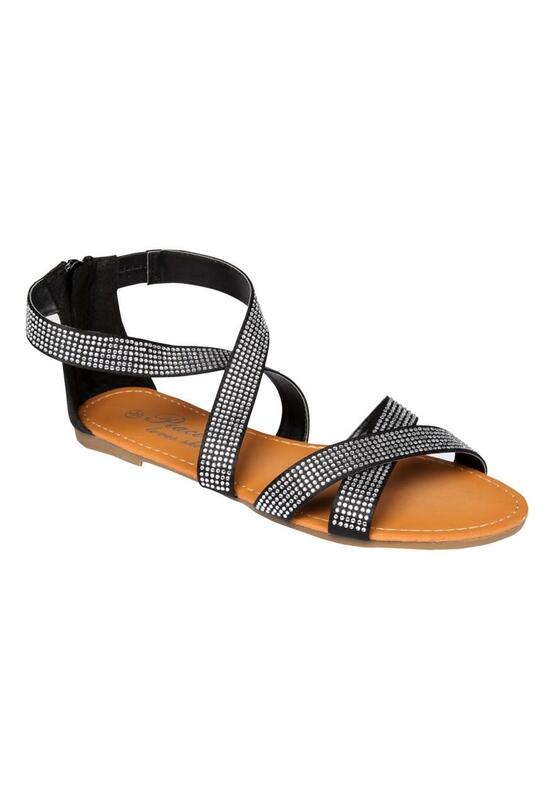 Add a touch of glitz to your summer look with these sparkly all over diamante stud Grecian style sandal. Ideal to glam up your look and wear on an evening out whilst wearing flats. Wear with a plain maxi and add lots of big chunky jewellery.